Tacos Chukis is a taco paradise that won't drain your bank account. SEATTLE — Ahh, the humble taco. So simple, and yet so magical. Tacos Chukis makes that magic happen. The Seattle restaurant has already achieved cult status, mostly because its stellar tacos sell for a killer price. Here's the breakdown. Tacos Chukis' standard tacos come with a choice of meat (or vegetarian option), salsa, guacamole, cilantro, and onion. They're $2.20 a pop. Three tacos and a soda are less than $10. That's a meal right there. But if you're in the mood to splurge an extra 55 cents per taco, I recommend trying the house tacos- aptly named, the Tacos Chukis. 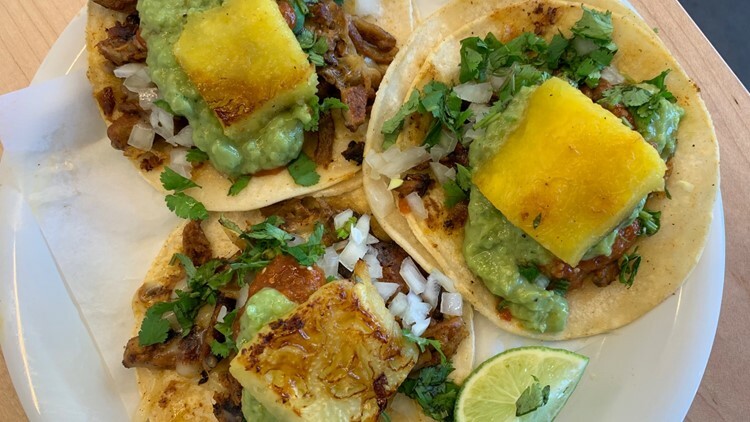 The Tacos Chukis are filed with their al pastor pork, roasted on a vertical spit, along with cheese, cilantro, onion, guacamole, salsa, and topped with a grilled pineapple. The grilled pineapple is what seals the deal. These tacos are $2.75 a taco, but worth every penny. If you want to elevate your late-night taco game, grab three of these. Tacos Chukis has four locations, but I visited their newest location in the Central District. Evening celebrates the Northwest. Watch weeknights at 7:30 on KING 5 & streaming live onKING5.com. Contact: Facebook, Twitter, Instagram, Email.